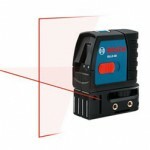 A lot of the toolboxes of professionals will not be complete without the laser distance measuring device. In the past, the toolboxes of people contained the standard tape measure but because of innovation and technology, better tools were invented. One of these is the laser distance measurer. From the name itself, it is evident that it can measure the distances of the spaces and places. It is important for the right tool to be used because if the item is inaccurate, this might cost a fortune. Searching for the right measurer can be a bit complicated but people usually choose from the Bosch DLR130k, the GLR225 and the GLM 80. At the end of this article, you will hopefully have an idea about which one you would get. The Bosch DLR130K at first glance may seem similar to all the other Bosch products that are available but it does have some features that are not available in the other tools. With an accuracy of 1/16th inch, this remains to be one of the most sought after tools today. Knowing more about its advantages will help you know if this is the right product for you. 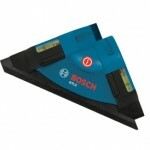 The range of the Bosch DLR130K is long enough to be the must have tool of a lot of people. It can measure from 2 – 130 ft. 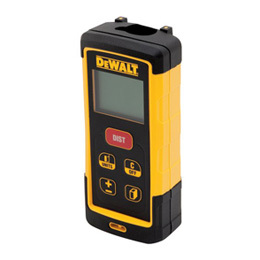 This can be used to measure quite a lot of houses and even some spaces in the outdoors. People can be sure that the quality of construction of the Bosch DLR130K is one of the best that can be seen in the market right now. While there may be some items that seem to be smaller, narrower and lighter than this model, a lot of experts agree that the Bosch DLR130K measures well unto the palm of their hands. 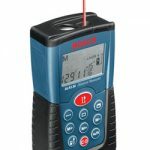 The Bosch DLR130K can also measure one measurement at a time which means that if you accidentally delete a measurement that has previously been made, you can just reset it so that it can be measured again. This will save you a few minutes of work. Probably the main disadvantage of this product is the fact that it does not have a backlight. This means that it can be harder to use in some places like the outdoors wherein screens can barely be seen especially if the backlight is non-existent. It can be easy to use indoors though and people will not have any problem reading the measurements at all. One of the greatest things about the Bosch GLR225 is the fact that it comes in seven measurement modes. This means that measurement can be in the form of multi surface area, indirect length, continuous minimum, continuous maximum and the usual ones like length, area and volume. 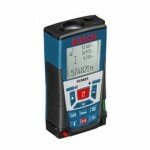 The measurement range of the Bosch GLR225 is considerably higher than the range of the DLR130K. If the DLR130K has a measurement range of 130ft, this has a measurement range of 225 ft. This can be very helpful when measuring wide and long spaces. The best thing about the Bosch GLR225 is the fact that even under direct sunlight; this can be very easy to use. In fact, some people were able to see the laser even when the sunlight is directly above them. Probably the main disadvantage of this product is its keypad. A lot of users have reported that the keypad does not feel that it will last a long time. Some people also have a hard time trying to press the buttons because they say that the fit is not quite right. Other than that, this product is great overall. One of the best things that can be noticed about the Bosch GLM 80 is that the screen is backlit. 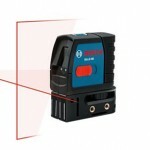 This means that whenever the measurement needed, can be seen easily even under low light or too much light. The numbers that are written are also easy to understand and do not need a lot of squinting to read. At first glance, the product may be hard to try out because there are around 10 buttons that are present. Upon reading the manual though, it will already be easy to start using this product. Some are able to master how to use it in a matter of minutes so there is no reason why others would not be able to do the same too. The best thing about the Bosch GLM 80 unlike the other two is that it subtracts the height of the device when it is measuring in order to avoid the inaccuracies that you might encounter trying to subtract the height of the product. It might sound very basic but it can be very helpful for people who lack time. While a lot of its features are state of the art which makes it the choice of a lot of professionals and hobbyists alike, there are some items that can be used in order to improve the use of this product and yet these products would have to be bought separately. Here are just some of the facts and details about the three products that you are choosing from. There are several categories wherein one unit may be better than the other but you would have to base it on your preferences and what you are looking for in particular. Making mistakes can be crucial in purchasing so choose wisely. 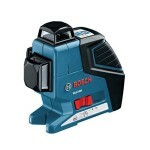 Click here to purchase Bosch GLR225 on Amazon!